Hey jhonny I PM'd u a couple days back did you get it? Anybody had success defeating sonic barrier? Game has went from fun to disappointment. Yes, many times depending on other factors, and each week I'm getting better at it. Appreciate your feedback and suggestions, Commanders! Rest assured that these will be relayed to the team. Thank you for your patience and understanding. I’ve only been successful about 2 times with the sonic barrier activated #1 was in hammer with no omega. #2 had domes surrounded around the sonic barrier which made it easier to beat . strikers with cnc and strikeforce are the strongest units and will take out most bases. dont concentrate on taking out the sonic, just the weapons within it.. I'm actually enjoying the sonic barrier, as a long time player I have seen the shift back and forth from offense to defense. And I like the idea of bases that are almost impossible to beat or even three star. I'm loving waking up to a war and we still have a fighting chance. Instead of wiped out in an hour. Our last 3 wars have been decided by one flag. Anyway that's my two sense. No, No more fun to hit high lvl bases, and since u get stuck at an certain med count with only high lvl bases....... the fun is out of the attack, hard ok, but impossible, No , No fun. Too bad i just did not make it to 100k mark, thats now to hard to get the last Few 1000. Too time consuming. To much frustration instead of fun watching the strikers regroup and attack. I deleted the game from all devices because of weakened omega units and most importantly the sonic barrier. Stupidest **** thing ever. Next they will make it that you can only drop troops in a couple spots. Didn’t need all these robots to begin with. I quit along with 1000s of others. Not gonna pay money to play a stupid game. But just add a couple of other defensive boosts, and it's near impossible to beat, if you don't boost your own troops..
A fully defensive boost on a HQ30/L80, you may get one or two flags if your troops are boosted and zero flags with no boosts.. I read Americans don't like to pay to win and some Asian countries don't mind paying to win a game.. So, what's the point in playing a game that requires you to spend $$ to win consistently? Spending $$ to get to a higher level quicker is fine, but paying $$ to win is nuts!! Anyway, I convinced myself to stop paying to play this game earlier today.. May eventually completely stop playing all online games. > I'm actually enjoying the sonic barrier, as a long time player I have seen the shift back and forth from offense to defense. And I like the idea of bases that are almost impossible to beat or even three star. I'm loving waking up to a war and we still have a fighting chance. Instead of wiped out in an hour. Our last 3 wars have been decided by one flag. Anyway that's my two sense. Enjoy it, How many are your base? So why do we attack if there is no chance to win? Why do we continue playing this game at all? How does someone like a strategy game that has 90% no strategy to win? > So why do we attack if there is no chance to win? Why do we continue playing this game at all? How does someone like a strategy game that has 90% no strategy to win? Did not you answer my question? How many are your base? Because, respectfully, Tariq, to answer your underlying (but false) premise: I do not see yours as an objective assessment of the game. Both sides have the same chance. All players play by the same rules. Sure, it's not a blowout anymore, and I'm agreeing with many here that it's a good thing in AvA because it allows our alliance members the full 24 hours to figure out tactics based on the success and failures of prior attacks on war bases. Rather than a metric of, "We won that AvA in 7 minutes!" (as my own Commander Union's alliance had personally hoisted as one of our many proud metrics), it's now a real war. And all our players can participate, particularly those outside the time zone of the war's start. That's a very, very good thing as it encourages and rewards more participation in alliance affairs. 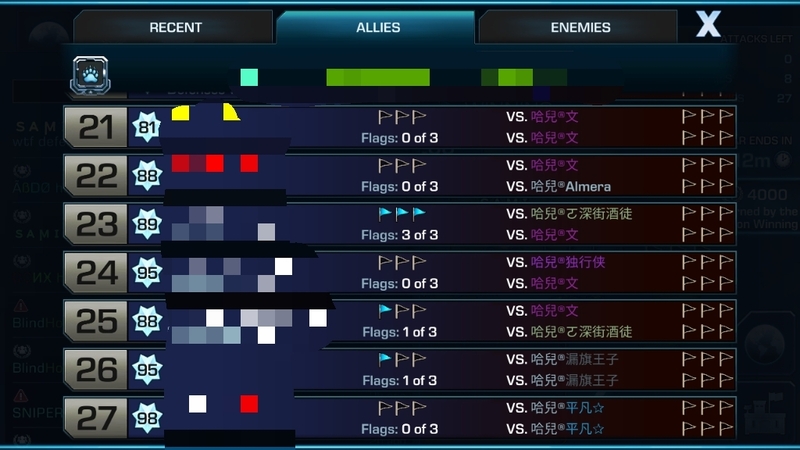 If, according to you, the game now "has 90% no strategy to win," how do you explain that 1 out of every 2 alliances in an AvA still continues "to win"? One alliance out of the two still wins! If anything, the game relies on MORE strategy now, not less. The only players I see complaining here are those who, like me, got into the lazy habit of using their bot to nearly clear a base with little or no effort. Yes, read that again, please: I had gotten into the same habit. But I'm not complaining. Instead, I'm working my **** off (if that's where my brains are, as some here would claim) to unlearn my prior laziness and think carefully about each attack. After several weeks of not even qualifying for a minimal payout, I'm now #1 again in this week's Leagues. It didn't come easy. It's been a rough month. So what? Because, respectfully, Tariq, to answer your underlying (but false) premise: I do not see yours as an objective assessment of the game. Both sides have the same chance. All players play by the same rules. Sure, it's not a blowout anymore, and I'm agreeing with many here that it's a good thing in AvA because it allows our alliance members the full 24 hours to figure out tactics based on the success and failures of prior attacks on war bases. Rather than a metric of, "We won that AvA in 7 minutes!" (as my own Commander Union's alliance had personally hoisted as one of our many proud metrics), it's now a real war. And all our players can participate, particularly those outside the time zone of the war's start. That's a very, very good thing as it encourages and rewards more participation in alliance affairs. The only players I see complaining here are those who, like me, got into the lazy habit of using their bot to nearly clear a base with little or no effort. Yes, read that again, please: I had gotten into the same habit. The difference is I'm not complaining. I'm working my **** off (if that's where my brains are, as some here would claim) and painfully to unlearn my prior laziness, to think carefully about each attack. I think the game is great again. > > So why do we attack if there is no chance to win? Why do we continue playing this game at all? How does someone like a strategy game that has 90% no strategy to win? > Did not you answer my question? > How many are your base? 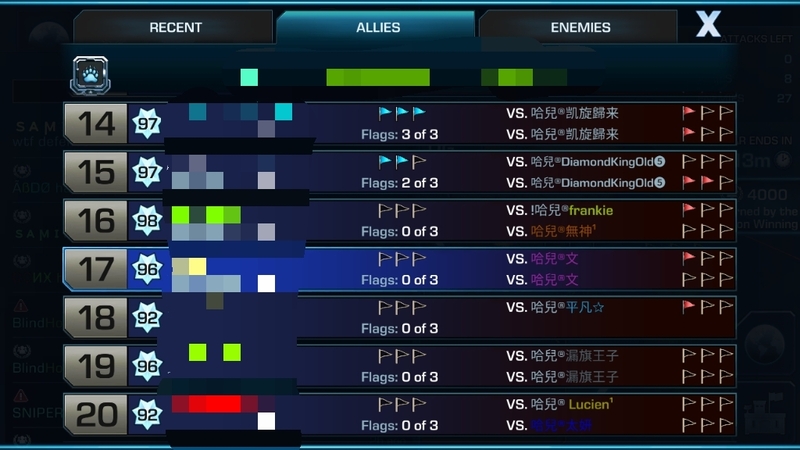 Can you easily attack?or you can get the full flag? I do not expect to receive the full flag with Omega. for me and for those who attack me, getting the flag is difficult. What pleasure is it when you can not attack, but you are in strong defense!!! I understand that @Gord is not lazy to clear the base with an omega unit. And me too has more than 2 years experience in E&A. Are you happy when you find an opponent in the middle of operation hammer fall that is not beatable? And you got him at the middle of stage one of the mission! The new upgrade of having "90% no strategy to win" exactly as you said makes no fun to play. Do not forget that Operation hammer fall requires 3 stars in all missions. Did you try it today? Zynga encourages jumpers and train war grangers over idiots who want to fight to get 3 star wars. If you read my previous posts you will notice that me and many are in that situation like me do not search for easy win. But we have to it even difficulty. I don't mind the sonic barrier and buffing the defense, but changing the way the combat stim works without announcing it to EVERY player is not acceptable. Ive never felt i was a top tier player, but if i tried 3-4 times (not 2 as in war, 3+ as in hammerfal) i could beat anything (as everyone who really tries should) but without the 3.25 boost from the combat stim i cant. Ive tried, with different omegas and troops, but i find some base layouts (+boosts and omega combinations) impossible to 3star. I may be lacking skills, can anynone here asssure me they can beat ANY base now? Im not asking if you can beat SOME level 98s, most of them are easy, I mean every 80+ youve ever encountered. Before this update I would answer YES.